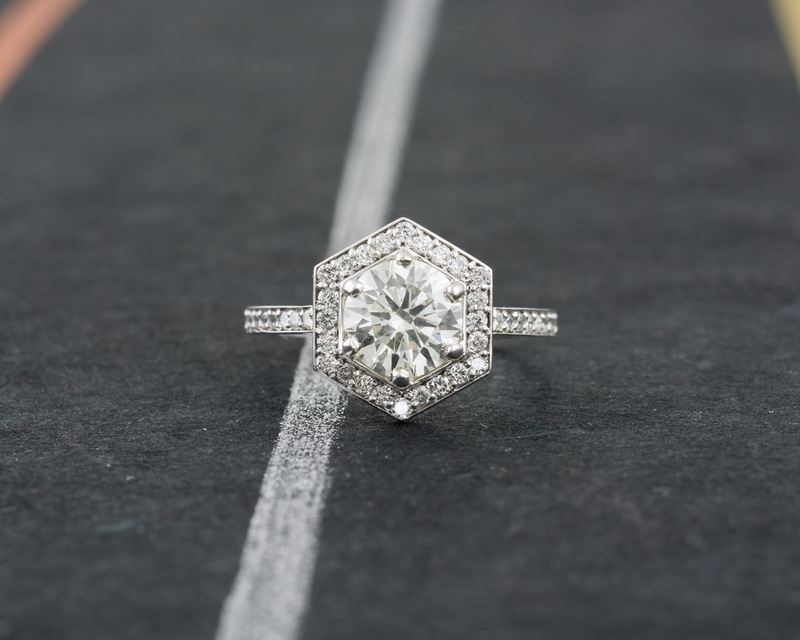 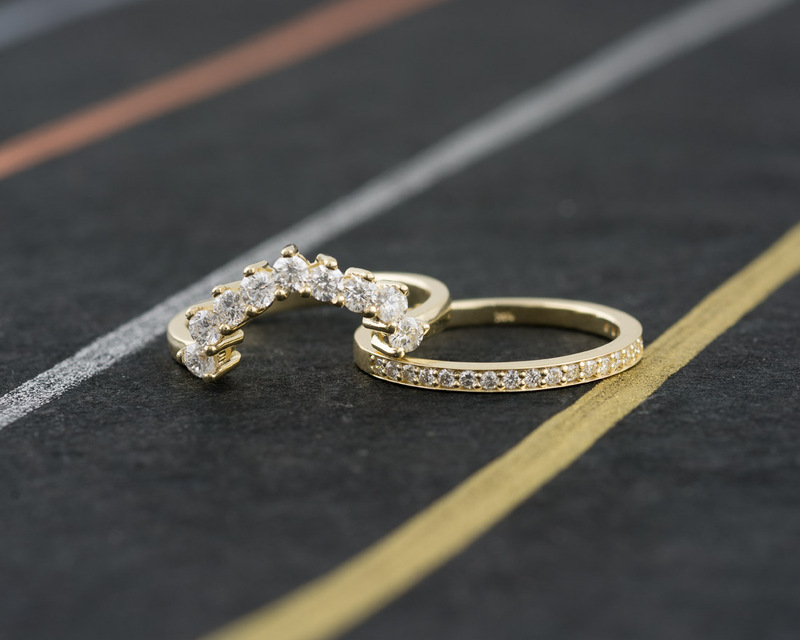 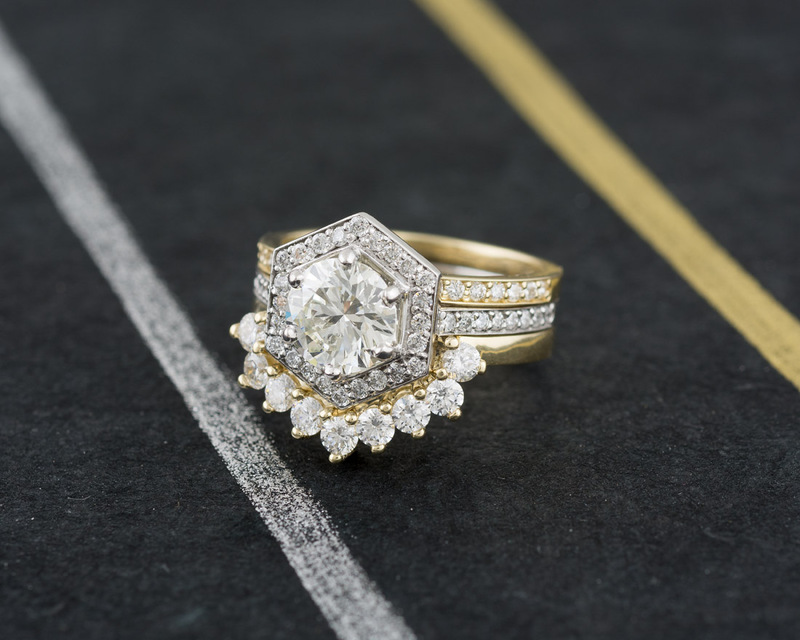 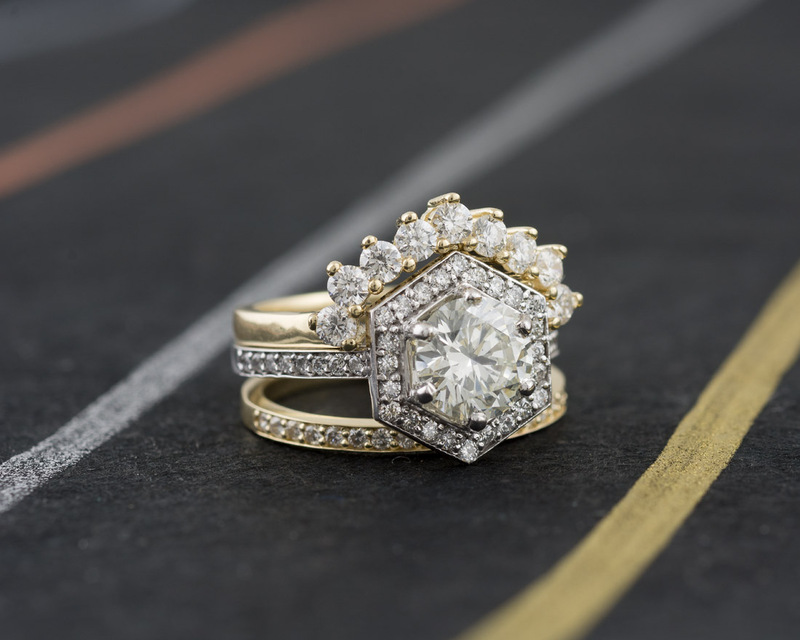 We designed this three ring set with a hexagonal halo for the white gold engagement ring. 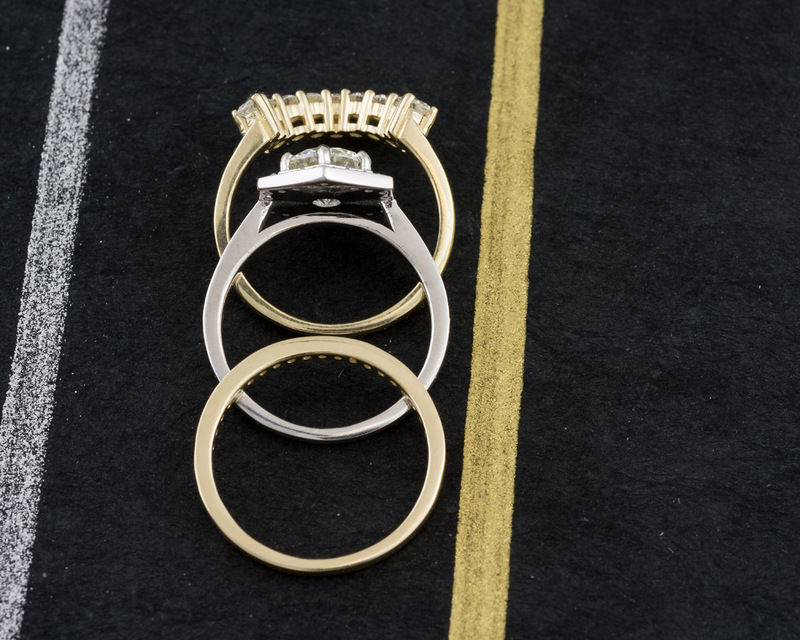 The bands bring contrast with yellow gold, and the asymmetry adds an artistic note. 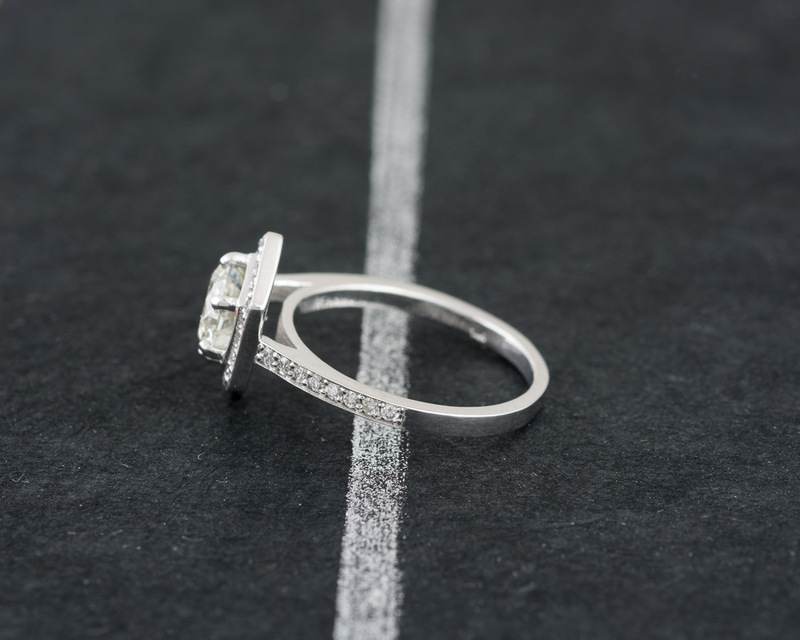 On one side is a simple diamond band, and on the other side is a specially designed band with round brilliant diamonds, fitting perfectly against the engagement ring’s halo.